LAGOS, Nigeria - While international media and tech giants like Google and Facebook are leading efforts to grow and nurture Africa's digital ecosystem, they are also identifying what could be the missing links in the digital ecosystem, such as knowledge transfer and face-to-face interaction. 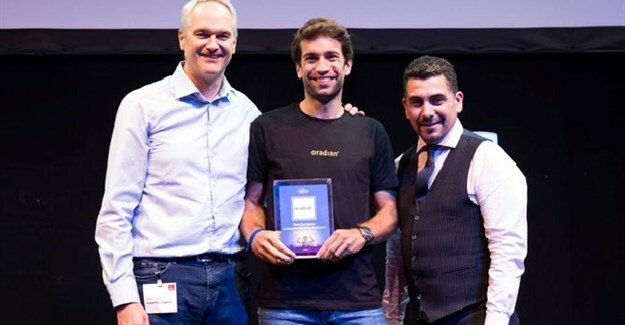 Oradian co-founder Julian Oehrlein on stage at the European FinTech event in Brussels accepting the award for Europe's Most Innovative Banking Software. The international tech community is nurturing Africa’s digital ecosystem by supporting skills development, technology adoption and the growth of digital businesses across the continent. Giants like Google and Facebook are leading the effort through direct investment, partnerships and in-market teams in key African markets. Google and Facebook both opened offices in Nigeria in 2017. Lagos is home to Facebook’s first African tech hub and one of Google’s four African offices (the others are in Kenya, Senegal and South Africa). These tech hubs are leading ambitious initiatives to train young Africans in digital skills. Google aims to train two million people across Africa each year and Facebook will train 50,000 Nigerians per year. Africa is also attracting more attention from European tech companies. In November 2017, the European Commission hosted its sixth SEC2Africa (Startup Europe Comes to Africa) forum in Abidjan, Ethiopia. 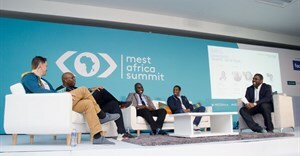 The forum brought together the top 50 EU-based tech companies doing business in Africa with the top 50 African tech companies in an effort to foster connections between the continents. Many EU firms have in-market teams, especially those in the financial inclusion space, where there is a heavy focus on helping microfinance institutions to adopt fintech tools. Leading fintech companies are taking a hands-on approach to developing digital skills and readiness among their African customers. For example, Oradian, one of the EU-based finalists at SEC2Africa, provides a cloud-based toolset for financial institutions in hard-to-reach communities in Africa and Southeast Asia. Oradian’s offering includes a cloud-based banking platform, hands-on change management services and membership to a global community. The change management process includes implementation of global best practice, from accounting principles to data security and training of all staff. Companies like Google, Facebook, SEC2Africa and Oradian are identifying what could be the missing links in the digital ecosystem: knowledge transfer and face-to-face interaction. As the fintech market becomes more crowded and business and consumers have more options, going offline and bringing high touch to high tech will be key.